The XP1000 is Bluetooth-enabled, allowing you to wirelessly stream music from your Smartphone, tablet or laptop. 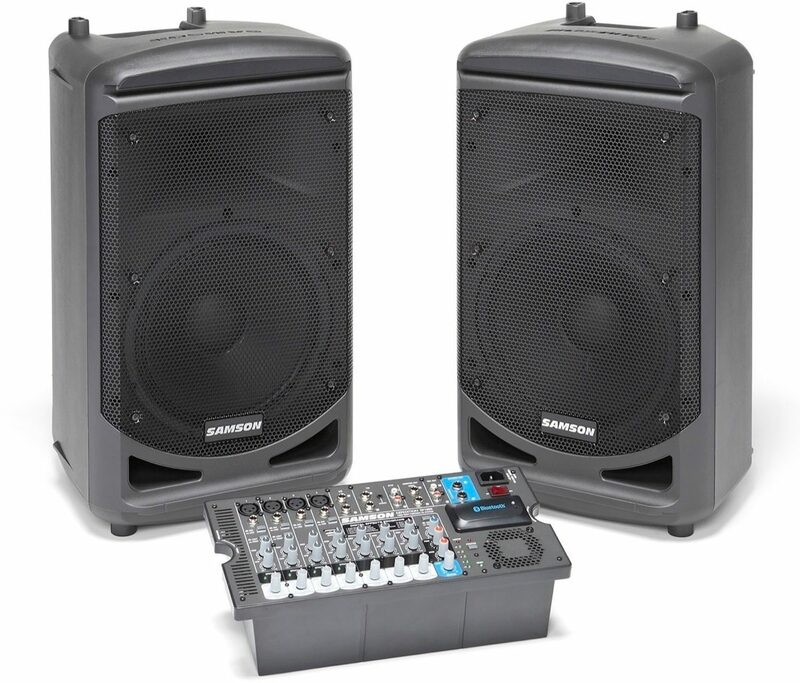 A removable 10-channel mixer with an impressive 1,000-watt (2 x 500), lightweight Class D amplifier powers the XP1000. 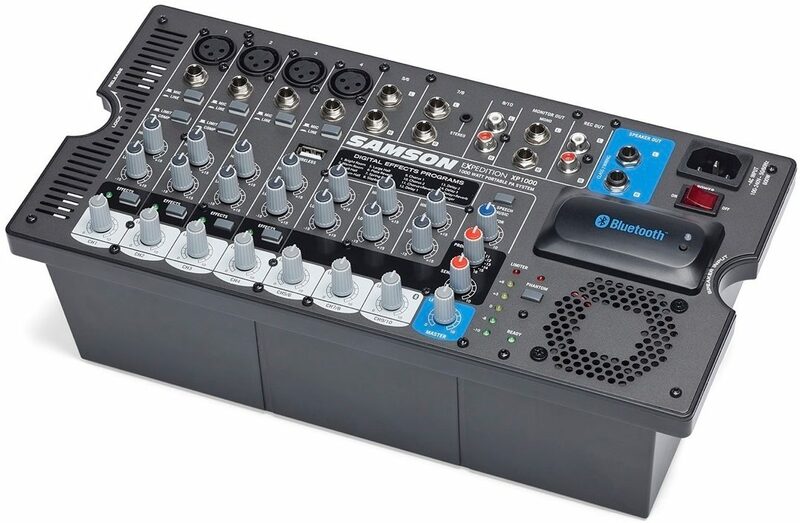 The mixer features four Mic/Line input channels, each with XLR and 1/4" inputs for connecting microphones or active line level instruments. 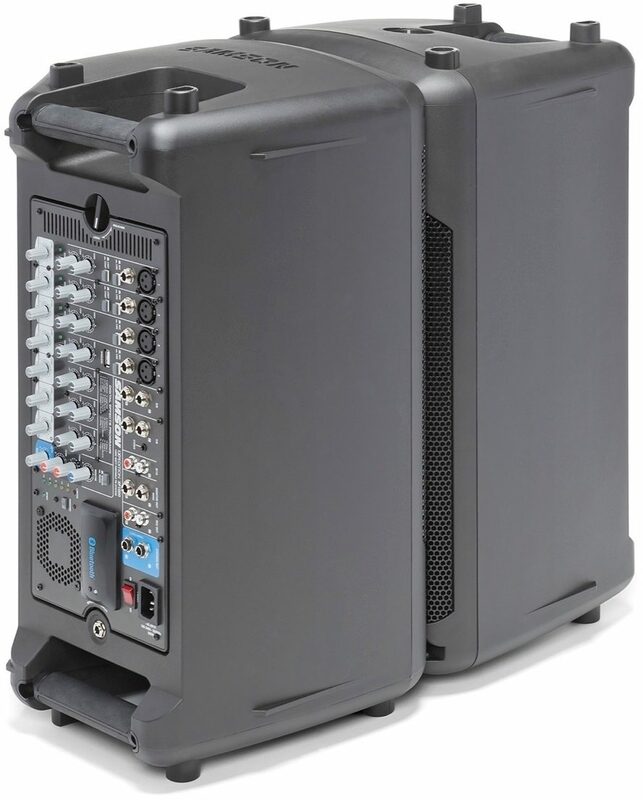 It also includes three stereo input channels for connecting external devices like MP3 players, keyboards and more. Each channel features Bass and Treble controls, and the first two Mic/Line channels have a selectable compressor to even out levels while preventing overload and distortion. The XP1000 even has a USB Wireless port. For precise control over your sound, the XP1000 provides 16 presets of high quality DSP effects, perfectly suited for vocals. 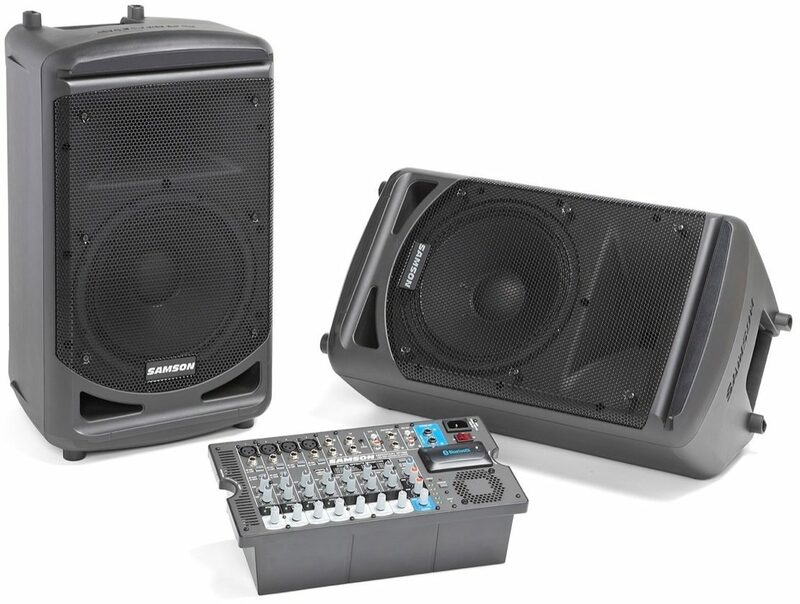 For larger applications, the XP1000 provides stereo monitor outputs with level control to use the system with additional powered speakers. In addition, the mixer has a Phantom Power switch to enable the integration of condenser microphones into your PA setup. The XP1000's 2-way vented speakers give you a clean, powerful stereo sound. Their 10" low frequency drivers produce excellent low end punch, while the 1" high frequency drivers receive wide dispersion from 60 x 90 degree horns. 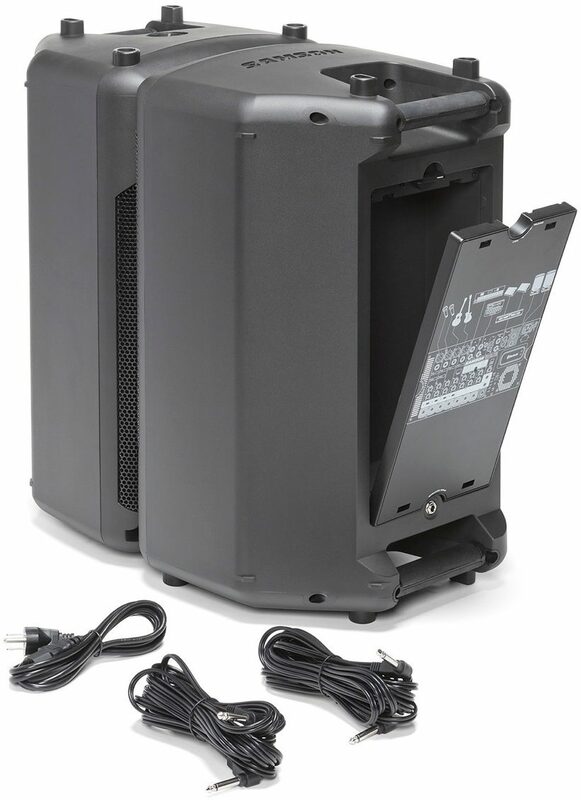 For performance versatility, the ABS, high impact enclosures feature integrated 1 3/8" speaker stand mounts, as well as a 30-degree kickback design for use as floor monitors. "Our church is satisfied with this "
Overall: Awesome product..i havent tried my guitar or mics yet because i just gotten this lastnight but the bluetooth sound quality is amazing..and so freaking loud i blasted our whole block..shipping was unbelievably fast..i ordered on a sunday, on a freaking sunday, now where else can u purchase equipment on a sunday and was at my front door on a tuesday...one of my speaker cords didnt work but i called zzounds and there was no hesitation to send me a new one...but what else could i say j love this pa..i was sceptical at first because its compact and i was worried it wouldnt be powerful enough for my upcomong wedding but my worries are completly gone now because this thing is a beast in a small package...medium to large venue's as it states, it can handle the job..